Domestic abuse is a societal issue that plagues many communities across the world. Study after study and many support groups have been organized to address the issue and we have gleaned quite a bit of knowledge over the past couple of decades, but it is likely that when many people think about domestic abuse, they picture a heterosexual couple. It could surprise many that domestic abuse is equally as likely for lesbian women and gay men as it is for heterosexual women. That is one in four lesbian women or gay men will be abused by their significant other. So why is our perception so skewed? It likely has much to do with the politics surrounding the LGBT community. Many members of the community keep their abuse under wraps for fear of drawing more negative attention to a community that already receives plenty. 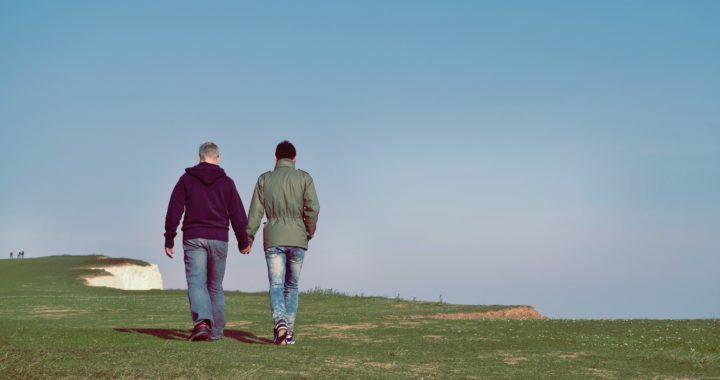 Studies and public perception surrounding domestic abuse has favored coverage of heterosexual abuse as well, despite the fact that the LGBT community takes up 4-10 percent of the population. In addition, the LGBT community probably faces the same kind of unfamiliarity with abusive relationships and what they look like as heterosexual couples do. In a study conducted in 2006, 53 percent of domestically abused LGBT individuals surveyed said that they had been in an emotionally abusive relationship, however 59 percent said they had been emotionally abused but wouldn’t categorize their relationship as abusive. This indicates that many individuals do not recognize what constitutes as an abusive relationship and therefore not all numbers can be taken as exhaustively accurate. This information is particularly troubling as domestic abuse becomes more common. In 1997, domestic violence was reported to be the third largest risk to gay male health behind AIDS and substance abuse. Since then, the numbers have only risen. The rate at which gay men experienced domestic abuse in 1997 is 11 percent while in 2015 it was 23 percent. When a person experiences domestic abuse, it is often difficult to talk about. When the political pressures that often face the LGBT community are also applied, it further complicates the situation. It helps to have a list of people you can talk to, like the National Domestic Violence Hotline at 1-800-799-7233, an organization that has an outlet specifically for LGBT victims or the Gay Man’s Domestic Violence Hotline at 1-800-832-1901, which is an organization that supports Gay men specifically. Middle Way House and GLBT Student Support Services are good resources for those in the Bloomington area.